New Delhi: After bombing terrorist-training camps in Balakot of Mansehra district in the Khyber-Pakhtunkhwa province of Pakistan, the Indian government has prepared a dossier that contains evidence from the National Investigation Agency (NIA) investigation into the Pulwama attack on CRPF jawans by Jaish-e-Mohammed. According to sources, the government has given the details of Maulana Masood Azhar’s audio and video recordings where he is heard praising the Pulwama attackers. Unlike the reaction of the Manmohan Singh government to the 26/11 terrorist attack, this time India has first acted militarily and then given a written response to the Imran Khan regime that has come up with the hackneyed Pakistani denial of the existence of terrorists sponsored by it. The Indian government has handed over this fresh dossier to Pakistan, asking them to take action against Jaish-e-Mohammed. As primary evidence, the Indian government has given the video footage of suicide bomber Adil Ahmed Dar who was driving the Maruti Suzuki Eeco car that rammed into the bus of CRPF. The government has given the details of the car that was used in the attack, which was purchased by Sajjad Bhat who, in a video, is claiming he works for JeM. Investigators have handed over call interceptions between terrorists based in Jammu and Kashmir heard talking about the Pulwama attack. 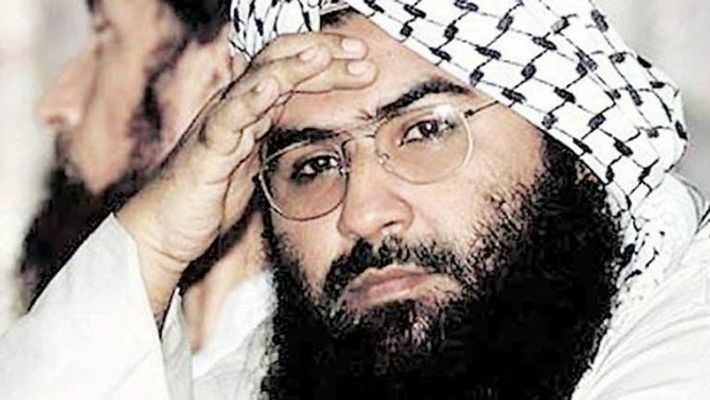 According to sources, the dossier has the residential details and last location of JeM head Masood Azhar, Lashkar-e-Taiba-turned-Jamaat-ud-Dawah’s head Hafiz Saeed along with their videos where they are seen provoking mobs against India, asking them to keep Jammu and Kashmir in the boil. Sources say details of the Balakot camp of Jaish-e-Mohammed has been added in the document. The Indian government has given photographs of terrorists getting training in various camps situated in Pakistan-occupied Kashmir. India on Wednesday handed over a fresh dossier to Pakistan high commissioner asking him to take action against terrorist outfits working from Pakistan territory. The government has asked Pakistan high commissioner also to give details about previous dossiers handed over to Pakistan with all relevant pieces of evidence including audio, video and call recordings. The government is likely to prepare another document, which will be handed over to Pakistan once the investigation into the Pulwama attack is complete.